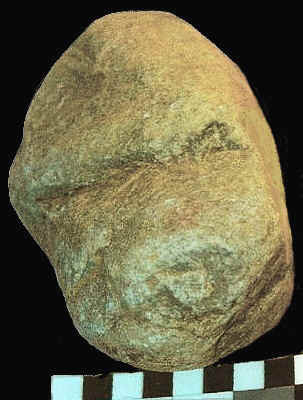 This motif is one of the most important and frequently appearing of several components of Primal Imagery that, in 2003, this author quickly identified in the Figure Stones, along with creatures emerging from the belly or (egg/birth-like) from the posterior, and one creature (typically a bird) atop the head of another. It seems possibly a theme of rebirth or regeneration. After seeing it repeatedly at 33GU218, this author was pleasantly surprised to find that the theme had earlier been recognized in Germany (notably by Dr. Elisabeth Neumann-Gundrum) in megaliths, and called "Atemgeburt", literally "breath birth". Note the emerging face explicitly detailed on the tongue. 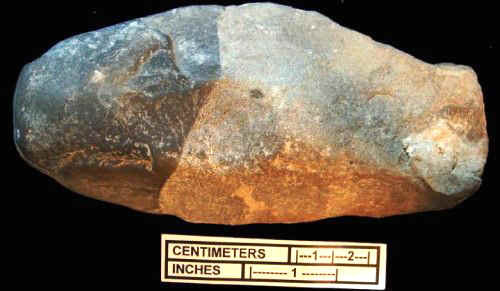 Find by Terry Deal, in direct context with temporally diagnostic Early to Middle Archaic Period projectile points. 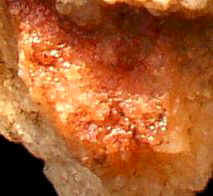 Note the emerging face (right profile) on lighter-colored material apparently exposed by chipping from the sandstone. Frederick County, find by Adam Arkfeld and amateur archaeologist Jack Hranicky. 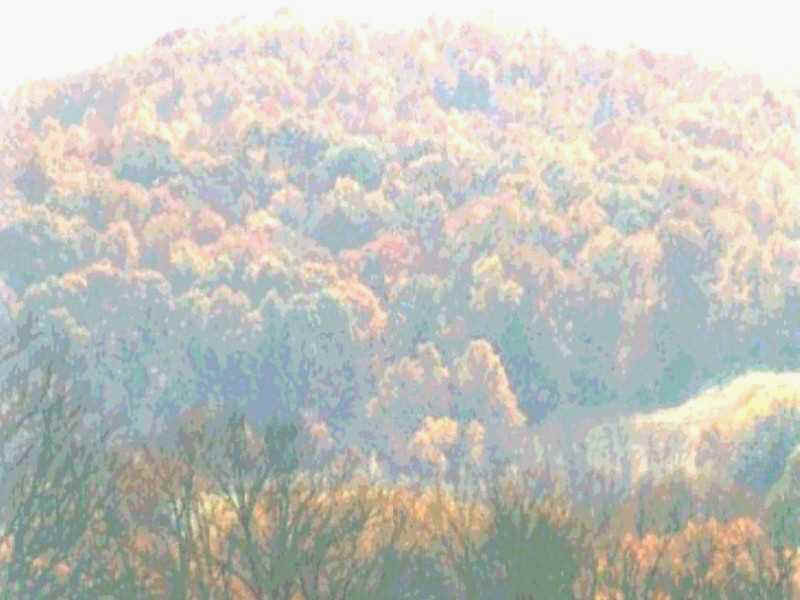 Above, Ohio's Great Serpent Mound, recently more accurately radiocarbon dated to the Adena (Early Woodland) Period, roughly 300 BC. 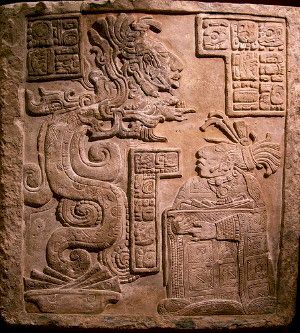 The image is popularly interpreted as a snake swallowing an egg, but this author has long been proposing that the "egg" is exiting the serpent's mouth, consistent with the quite ancient motif of one creature emerging from the mouth of another. 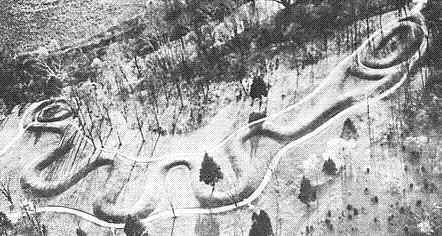 Above, an aerial LiDAR image of the site. 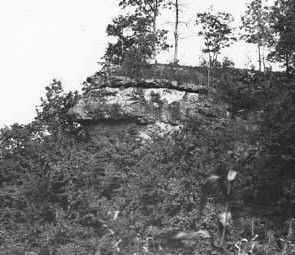 The yellow arrow on the left indicates the location of the sandstone figure in the cliff, above which the serpent is clearly visible. 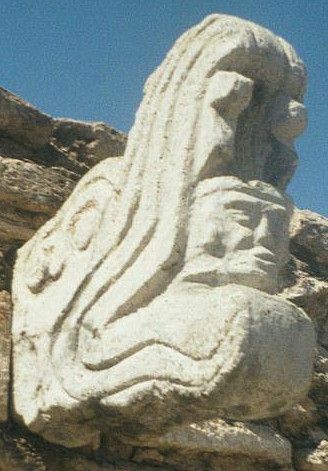 Early in 2013 this author noted the zoomorphic appearance of the raised landform itself, with the serpent across its head and aligned to its mouth. 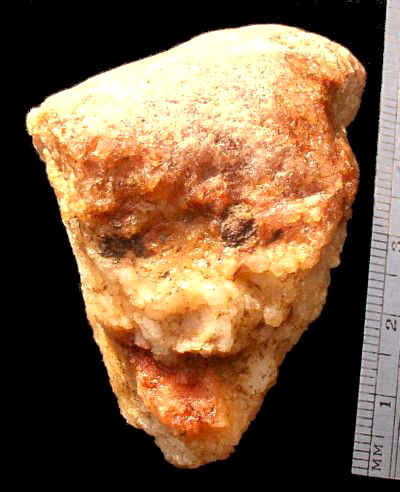 Pareidolia, certainly, but something of which the Adena likely would have been aware just from walking on it. And of course the terrain creature's head looks into the summer solstice sunset, as does the serpent's. 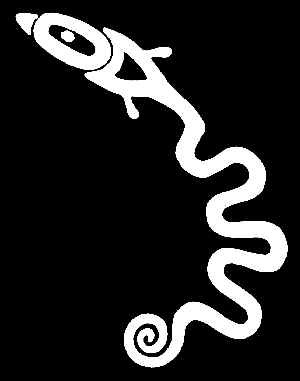 The image of one creature (spirit?) 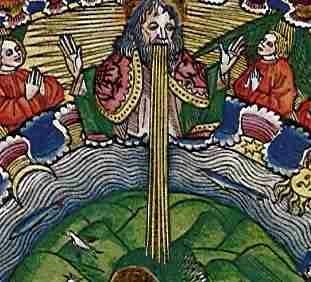 emerging from the mouth of another appears in many parts of the world. 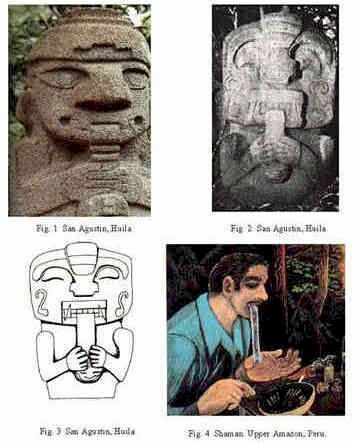 It is easy to see in the clearly sculpted statues at San Agustin, Colombia (below), and possibly reflected in the ritual vomiting of shamans in the Peruvian Amazon south of there. In this context, it is interesting to consider a Caddo ritual reported by early and understandably appalled European explorers in North America. This was the rapid consumption of a hot liquid made from the yaupon plant, causing what might be characterized as projectile vomiting. 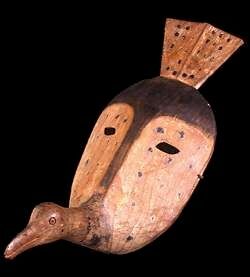 Below: This theme appears repeatedly in traditional Inuit/Yupik masks and other imagery, here with emerging birds.